Billboards still exist, which means someone still finds value in paying to advertise on them. But when we think about effective advertising mediums, internet and television are the two that seem the most valuable. 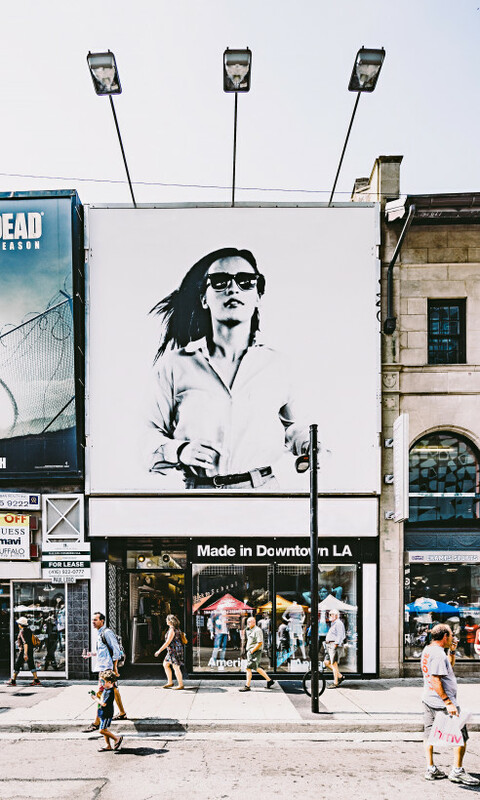 The perception is that billboards are an outmoded and generally less effective medium for advertising than the myriad other options available today. And, that makes some sense. In the last fifteen years, online advertising has raced into the space age, allowing advertisers to hyper target their audiences with tailored messages and track results down to the penny. But if you want to purchase space on a billboard, the most information you will get is a guestimate of how many people see it on given day. I’m also not talking about the augmented reality billboard that can generate digital overlay experiences on anything from big billboards to bus posters. Companies like BlendAR are creating unique ways to engage consumers by fusing AR and AI. However, while nearly every other advertising medium benefited from new technologies, billboards languished, only making a slow and unremarkable transition to digital screens. But all of that is about to change in one of the more surprising reversals of fortune in recent memory. At the same time as new technology is coming to billboards, online advertising has run into a multi-billion dollar problem. Problems come in all sizes. As a general rule of thumb, problems of the billion dollar size are about as bad as it gets for private sector institutions. Trillion dollar problems remain a blunder only large governments have achieved. The problem is a growing one with a 40 percent uptick of ad blocker usage year over year. An estimated 70 million people in the U.S. used technology to avoid seeing ads on the Internet in 2016. That is a substantial portion of the market, and it is reasonable to think many of them are technologically savvy and are part of the coveted millennial consumer block. But the problems do not stop there. The online advertising industry has been buffeted by scandals ranging from the multi-billion dollar false impressions issue to downright fraud. All of this is creating an unlikely opportunity for other advertising mediums to take back some of the territory that was lost to the online space over the last 15 years. Just because online advertising is struggling does not mean that billboards are going to experience a renaissance. Billboards need to modernize, which means finding a way to compete with the data-driven power of online advertising options. That technology is here. Billboards fall into a category of advertising called out of home (OOH). Digital billboards are called digital out of home (DOOH). The new technology is called targeted DOOH. What that means is taking digital billboards and empowering them with data and analytics abilities to actually target consumers who are in close proximity with a relevant ad. According to Frangakis, this technology can rival the accuracy of online targeting by tapping into the exact same data pools. To unpack that a bit further, it means that billboards can know in real time if the crowd in close proximity is most interested in buying a car, shopping for clothes, or looking for a cell phone. And perhaps most importantly, there is no technology to block billboards. The significance of this is yet to be seen. Advertisers are eager to use the technology, as evidenced by Horizon Media’s recent strategic investment in targeted DOOH company Mira, but the potential size of the market and effectiveness of the ad targeting over time still needs to be assessed. What is clear is that the timing is perfect. If online advertising was not experiencing billions of dollars in problems, it is probable that few people would notice a technology that customizes billboards. But today, that kind of technology is in high demand.